Nomorobo is an iOS and Android app that offers real–time protection from a growing list of robocallers, telemarketers and phone scammers. Nomorobo lets the phone ring once, then tries to identify the caller. If the number is on the app’s robocaller list, the app will automatically block the call for you. The Truecaller app for iOS and Android lets you find out who’s behind that unknown number. Copy and paste the number into the app’s search bar. Truecaller will search the unknown number to find out who it is. With a community-based spam list from over 250 million users, it’s a great resource to avoid answering an unwanted robocall. Another great feature of Truecaller is its ability to block spam calls. When a pesky telemarketer calls, there will be a big warning in red, telling you that it’s a spam call. Just swipe up when this happens to automatically block that caller and add them to the spam list. The Truecaller app is free for both download and use. However, there is a professional version that can be bought as an in-app purchase for $1.99 per month. The Hiya – Caller ID & Block app is perfect for identifying calls that you want to accept and blocking calls and texts you want to avoid. The Hiya app is available for free on both Apple and Android gadgets with no ads, and it is simple to use. If you had to choose one, this is the best choice, in my opinion. It allows you to block calls, blacklist unwanted phone numbers and text messages, reverse phone search incoming call information and receive spam alerts. The app is powered by a database of hundreds of millions of phone numbers confirmed to be spam by other users. The Call Control – Call Blocker app automatically blocks spam calls and calls from other numbers you don’t want to hear from. You can block entire area codes (like 888) if you’re getting tons of calls you don’t want from a particular location. The Call Control app is free and available for both Apple and Android gadgets. Worried about missing out on important calls? Call Control gives you your own personal Whitelist and Contacts Protection to make sure people you know get through. The app’s users actively report their spammers so its catalog is always up to date. Call Control will automatically block active spammers, and the reverse lookup allows you to track them to their source. You can add numbers to the Community Blacklist and choose to block specific numbers that won’t leave you alone. Did you know that some smartphones already have built–in spam and robocall protection in place? Samsung’s flagship Galaxy and Note smartphones have a native feature called Smart Call that automatically screens and flags suspicious numbers. Google’s Android smartphones like the Pixels and the old Nexus and Android One have built-in spam call protection. With this feature, users with Caller ID enabled will get a warning if a suspected spam call or robocall is received. Aside from ignoring the call, the user has the option to either block the number or whitelist it if the spam flagging is deemed an error. Any blocked number can be unblocked at any time. An option to report the call to Google is available. To block every number except your most trusted contacts or favorites, you can turn on your iPhone or Android phone’s built-in Do Not Disturb Mode. It’s an extreme solution but it will definitely stop all unwanted calls, including robocalls, telemarketing calls and spam calls. To customize your Do Not Disturb preferences on an iPhone, go to Settings >> Do Not Disturb. Here, you can turn the mode on, set a Do Not Disturb schedule and set your allowed calls to either all your saved contacts or just your Favorites list. To quickly activate Do Not Disturb, go to your iPhone’s Control Center (swipe down from the upper-right corner on iPhone X, swipe up from the bottom for other iPhones) and toggle the Do Not Disturb switch (the icon looks like a moon). This is the simplest solution, and many people try this low–tech approach to robocalls. If you receive a call from an unknown number or one that doesn’t show up on caller ID, don’t answer. If it’s an important call, the person will leave a message and you can get back to them. Millions of people are unencumbered by robocalls, and they don’t give these pests a second thought. But be advised: If you answer the phone and the caller (often a recording) asks you to hit a button to stop receiving calls, just hang up. Scammers often use these tricks to identify and target live respondents. Once they know the number is active, you may receive more calls in the future. UGH… It’s a robocall, another automated telemarketer. Nowadays, robocalls make up roughly 50 percent of all phone calls. In 2018 alone, robocallers spammed us with 26.3 billion calls. And it’s only going to get worse: Robocalls are going to become more constant in coming years. You want to yell into the phone: “Don’t call me again! I don’t care who you are! Just go away!” Your words would fall on deaf ears though since there is no one on the other end… and if you breathe even one single word, your voice may be recorded for future use. Fun. Luckily, you have a whole arsenal of smartphone tools at your disposal. You can block numbers, turn on Do Not Disturb mode, use your carrier’s tools, or use third–party apps to (mostly) end this telephonic pestilence. Many robocalls come up as “anonymous” on your caller ID, while most businesses and human beings come up as identifiable phone numbers. Chances are, you could terminate all anonymous calls without missing anything important. Depending on your service, you may have access to Anonymous Call Rejection. Enter the magic number *77, and you will hear three beeps. Hang up, and any call that hides its number will be rejected. This service varies by carrier, and some carriers charge extra. But it’s a helpful tool for scammers or robocallers who slip through the Do Not Call Registry. Millions rejoiced when the FTC created the National Do Not Call Registry – and in a perfect world, signing up would stop telemarketers from calling you. Technically, it’s illegal for telemarketers to call you if you are on this list. But the world isn’t perfect. Scammers don’t follow the rules, nor do they care about this list. It’s still smart to register your number as an added layer of protection against unwanted calls. Just go to the website donotcall.gov and enter the landline or cellphone number you want on the list. You can also call 1-888-382-1222 from any phone you want on the list. That’s all it takes, and your number stays on the list until you ask for it to be removed or you give up the number. Once you sign up, the Do Not Call list takes you off for-profit business call lists, but it isn’t immediate. Telemarketers update their listings only periodically, so the FTC says it can take up to 31 days. Also, political organizations, charities and survey takers are still permitted to call you. Businesses you’ve bought something from or made a payment to in the last 18 months have a right to call. When they call, however, firmly tell them to take you off their list and they have to honor your request, although they might still try to talk you into reconsidering. Verizon recently announced a free call-blocking service that debuts in March. Verizon previously offered a “Caller Filter” service for $2.99 per month per line. Verizon also has identified 300 million spam and scam phone numbers that it will block through free spam alerting and call-blocking tools also coming in March. T-Mobile provides two free ways to combat robocallers and spam calls. First is Scam ID, an automatic system that identifies spam numbers when your phone rings. T-Mobile automatically does this on its network, and there’s no app to install or service to turn on. The second free method is Scam Block. Unlike Scam ID, which simply identifies known spam numbers, Scam Block gives you an option to block those numbers. To turn this on, dial #662# on your T-Mobile handset. To turn it off, dial #632#. Similar to Verizon’s Caller Name ID, T-Mobile has its own paid “Name ID” service, which identifies and provides caller information like the name, location and type of organization. You can block them as needed. This is included in T-Mobile ONE Plus plans. For other T-Mobile plans, it costs $4 a month per line. Sprint customers can sign up for its “Premium Caller ID” service to protect themselves from robocalls and caller ID spoofers. This service is $2.99 a month, and it provides a threat level indicator to give customers an idea of how suspicious a call is. It does this by flagging calls with real-time data trends gathered across the U.S. This service doesn’t automatically block known spam calls. Based on the threat level, you can choose to answer the call, block the number or report it to prevent future calls. TO BE CONTINUED NEXT MONTH… with Apps to block scammers and other tricks already built into your cell phone. Your Wi-Fi signal strength begins to drop the farther away from the router you are. If your router is in the front of your house and your bedroom is in the back, you may be accustomed to slow internet speeds. The severity of the slow-down depends on quite a few things: your home’s construction, your router’s location, what router you are using, your internet provider, etc. Regardless of the other issues, where you put your router really can make a big difference. Location, location, location! Location is key. Try to find the most central place in your home for your router. It is worth buying some longer cables and running the wire to the most central location that you can in your home. Consider even mounting the router on a wall or in a corner by the ceiling if you have two floors (radio waves generally spread out and towards the ground, not up). Think about putting your router on the second floor if you have one. Router antennas broadcast in all directions, so if you place your router next to a wall adjacent to your neighbor’s apartment, they’re getting that slice of your signal. Radio waves certainly travel through walls, but the thicker the wall, the weaker the signal will be on the other side. If your home is fortified with brick or concrete walls, the signal is going to be absorbed by the wall and lose significant strength when traveling through it. Same goes for water, like a big fish tank, which can cause a lot of resistance for your signal. Metal and mirrors are also your enemy because those materials actually reflect radio waves, so putting the router behind a TV or in a bathroom is ill advised. When it comes to battling any potential buffering of your Wi-Fi signal, the microwave is not your friend. Microwaves and WiFi routers operate using the same frequency. Additionally, metal objects will absorb a signal, and with a metal fridge, stove, and other kitchen appliances. It’s best to just keep the router out of the kitchen. All the magic happens with the antenna. It’s the part of the router that’s broadcasting and receiving your WiFi connection. Antennas usually can move side to side or sometimes pivot full-circle in their socket. Play around with directing the antennas to increase the signal strength. Last tip: ALWAYS password protect your WiFi. For more information, or for assistance with your WiFi, contact TeCHS! We are fast, affordable, and friendly. Serving all of Ventura County. As we start a whole new year – make sure that you keep your information, identity, and computer safe from criminals. How can I keep my information safe in 2019? Keep your computer’s spyware and antivirus software up to date and scan your computer regularly. Make sure you have firewalls up and running at all times. Whether it’s the built-in Windows firewall, your router’s firewall or a 3rd party firewall software; or all of them in combination if you really want to make sure they are working. Don’t share your passwords, credit card numbers, social security numbers or any other pertinent information with anyone. Don’t write your passwords down anywhere someone could stumble upon them. It’s best if you don’t keep written records of your passwords, but with the amount of passwords people need now, it’s getting a bit more complicated to keep track of them all without writing them down. Always be wary of emails asking for your personal or financial information. Don’t click on links or open emails that seem suspicious to you at all. Even one simple click can open your computer up to a criminal – installing malicious software and stealing your information. Never click on links in emails or links on web sites that you don’t know or don’t trust. If you get an email from “your bank” saying you need to log into your account right away for any reason, but you aren’t sure the email is actually coming from your bank then don’t click on any links in that email. Open a new internet browser, type in the URL yourself and then log in to your account and make sure everything is as it should be. If a link doesn’t feel right, don’t click it. Keep an eye on your assets and your credit and check on everything on a regular basis. Make sure to report any odd or suspicious activity immediately. Switch over to paperless billing and statements. Pretty much everyone now-a-days offers paperless statements… banks, credit cards, house-hold billing companies. Having them all delivered to your email inbox instead of your physical address saves paper, postage and also eliminates the possibility of someone stealing your mail. Never write your full account numbers on your checks when you pay your bills, especially when paying credit card bills, just write in the last four digits of your account number. Always shred documents you do not need, don’t just throw them in the trash. Criminals do sift through your trash looking for pertinent documents. Don’t broadcast that you are leaving town, or that you are out of town, on social networking sites. That is sort of like putting up a flashing neon sign over your house that says “no one is home and no one will be home for a while, so come on in and take what you want.” Wait until you return home from your trip to talk about it. Worried something is amiss: Immediately file a fraud alert on your credit report by calling Equifax (888-766-0008), TransUnion (800-680-7289) or Experian (888-397-3742). After you have filed your reports, make sure that you directly call the issuers of any credit cards that you feel may have been affected. Need assistance? Contact TeCHS! We can do a thorough check of your computer to make sure that you are free of viruses, malware, or spyware that could be sending your information to criminals. 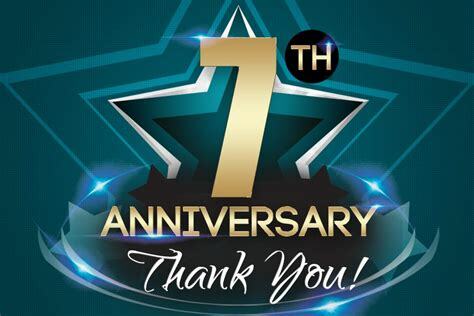 As we celebrate seven incredible and wonderful years as TeCHS we can’t help but look back at everyone and everything that has helped us, guided us, taught us, hired us, partnered with us, and shared with us. We truly appreciate everything our amazing vendors, clients, partners and customers have done for us – thank you for your referrals and for your business. We truly appreciate you and we look forward to continue serving your technology needs. Did you know that TeCHS used to be called Leader Creative Services? Leader Creative Services was started and run by Kim alone back in 2003 and only offered graphic design services. Then we (Kim and Seth) started dating and married… on our honeymoon we decided to team up in business as well and on June 03, 2011 we decided to change the name of the business to better reflect all of the technical solutions we will offer all of Ventura County together. Thus TeCHS was born! Seth and Kim, your TeCHS, are proud Ventura natives with well over 30 years of combined tech-y knowledge and know how. We strive to keep everyone’s digital life running smoothly and to keep business and money in our beautiful and wonderful county! From the home user to local business needs – we provide affordable, fast, friendly, professional and reliable services for everything from your toaster to your website! A devastating flaw in Wi-Fi’s WPA security protocol makes it possible for attackers to eavesdrop on your data when you connect to Wi-Fi. Dubbed KRACK, the issue affects the Wi-Fi protocol itself—not specific products or implementations—and works against all modern protected Wi-Fi networks. Which means that if your device uses Wi-Fi, KRACK likely impacts it. KRACK (short for Key Reinstallation AttaCK) targets the third step in a four-way authentication “handshake” performed when your Wi-Fi client device attempts to connect to a protected Wi-Fi network. The encryption key can be resent multiple times during step three, and if attackers collect and replay those retransmissions in particular ways, Wi-Fi security encryption can be broken. For starters, the attacker can eavesdrop on all traffic you send over the network. This can be abused to steal sensitive information such as credit card numbers, passwords, chat messages, emails, photos, and so on. Keep your devices up to date! Given the potential reach of KRACK, expect new patches to come quickly from major hardware and operating system vendors. Microsoft says a security patch is already incoming for Windows PCs. And again, keep your security software up to date to protect against potential code injected malware. Yup, same deal, but Microsoft said in a statement that it has a security update to address this issue is incoming. What Is The Best Location For Your Home Router To Get The Best WiFi Signal? Location, location, location! Location is key. Try to find the most central place in your home for your router. It is worth buying some longer cables and running the wire to the most central location that you can in your home. Consider even mounting the router on a wall or in a corner by the ceiling if you have two floors (radio waves generally spread out and towards the ground, not up). Think about putting your router on the second floor if you have one. Router antennas broadcast in all directions, so if you place your router next to a wall adjacent to your neighbor’s apartment, they’re getting that slice of your signal. For more information, or for assistance with your WiFi, contact TeCHS! We are fast, affordable, and friendly. Serving all of Ventura County. As you may have heard, a new and major ransomware attack was unleashed worldwide back in May of this year (2017), named WANNACRY. This one infected at least 75,000 computers in 99 countries in a very short amount of time. The ransomware locked computers and networks using file encryption software, and demanded payment by Bitcoin (a non-traceable crypto-currency) to release the data. These types of attacks typically enter a computer through a “phishing email” and then spreads to other machines on the same network by exploiting vulnerabilities, including vulnerabilities in the computer’s operating system (although Microsoft did discover the vulnerability and released a patch, many computer users do not regularly update their operating systems and may have missed the critical repair). What can you do to prevent ransomware on your own computer? Don’t click on links from unfamiliar sources. Even if you think you know the sender, be cautious about clicking on email links. When in doubt, DELETE IT! Be especially wary of messages requiring you to act quickly, asking for personal information, or threatening you in any way. Use strong authentication, requiring more than a username and password to access accounts, especially critical networks, to prevent access through stolen or hacked credentials. Conduct regular backups of systems: Systems can be restored in cases of ransomware and having current backup of all data speeds the recovery process. Make better passwords: In cases where passwords are still used, require long, strong and unique passwords to better harden accounts against intrusions. For more information, or for a complete system checkup, contact TeCHS! As we celebrate six incredible and wonderful years as TeCHS we can’t help but look back at everyone and everything that has helped us, guided us, taught us, hired us, partnered with us, and shared with us. We truly appreciate everything our amazing vendors, clients, partners and customers have done for us – thank you for your referrals and for your business. We truly appreciate you and we look forward to continue serving your technology needs. Did you know that TeCHS has used to be called Leader Creative Services? Leader Creative Services began in 2003 as a small graphic design company. 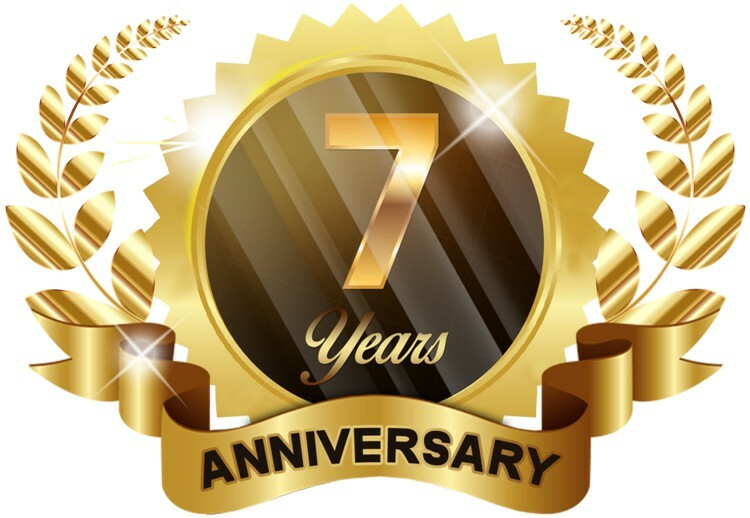 As the years went by we added more and more services to our offerings and finally on June 03, 2011 we decided to change the name of the business to better reflect all of the technical solutions we offer all of Ventura County. Thus TeCHS was born! 1.) Don’t share your passwords, credit card numbers, social security numbers or any other pertinent information with anyone. 2.) Don’t write your passwords down anywhere someone could stumble upon them. It’s best if you don’t keep written records of your passwords, but with the amount of passwords people need now, it’s getting a bit more complicated to keep track of them all without writing them down. 3.) Keep your computer’s spyware and antivirus software up to date and scan your computer regularly. 4.) Make sure you have firewalls up and running at all times. Whether it’s the built-in Windows firewall, your router’s firewall or a 3rd party firewall software; or all of them in combination if you really want to make sure they are working. 5.) Always be wary of emails asking for your personal or financial information. Don’t click on links or open emails that seem suspicious to you at all. Even one simple click can open your computer up to a criminal – installing malicious software and stealing your information. Never click on links in emails or links on web sites that you don’t know or don’t trust. If you get an email from “your bank” saying you need to log into your account right away for any reason, but you aren’t sure the email is actually coming from your bank then don’t click on any links in that email. Open a new internet browser, type in the URL yourself and then log in to your account and make sure everything is as it should be. If a link doesn’t feel right, don’t click it. 6.) Keep an eye on your assets and your credit and check on everything on a regular basis. Make sure to report any odd or suspicious activity immediately. Switch over to paperless billing and statements. Pretty much everyone now-a-days offers paperless statements… banks, credit cards, house-hold billing companies. Having them all delivered to your email inbox instead of your physical address saves paper, postage and also eliminates the possibility of someone stealing your mail. 7.) Never write your full account numbers on your checks when you pay your bills, especially when paying credit card bills, just write in the last four digits of your account number. 8.) Always shred documents you do not need, don’t just throw them in the trash. Criminals do sift through your trash looking for pertinent documents. 9.) Don’t broadcast that you are leaving town, or that you are out of town, on social networking sites. That is sort of like putting up a flashing neon sign over your house that says “no one is home and no one will be home for a while, so come on in and take what you want.” Wait until you return home from your trip to talk about it. Immediately file a fraud alert on your credit report by calling Equifax (888-766-0008), TransUnion (800-680-7289) or Experian (888-397-3742). After you have filed your report, call the issuers of any credit cards that may have been affected. Basically the gist of everything I’ve written is: be careful with the personal information that you give out. We all do a lot of shopping online which means we are all typing our credit card numbers into lots of different company websites. Make sure the company you purchase from is reputable. If something seems too good to be true, it is. There is nothing free in life. Massive discounts on normally very expensive items from shady online stores are more often than not going to cost you a lot more than you think. Do you need any assistance? Want a professional to check your computer security? 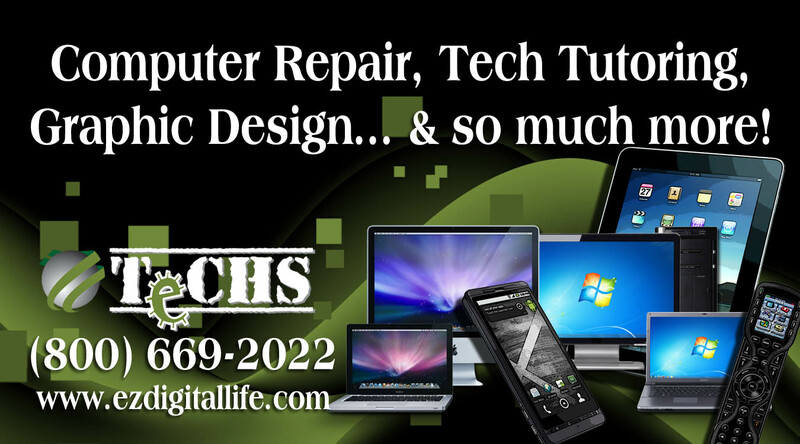 Contact TeCHS today!